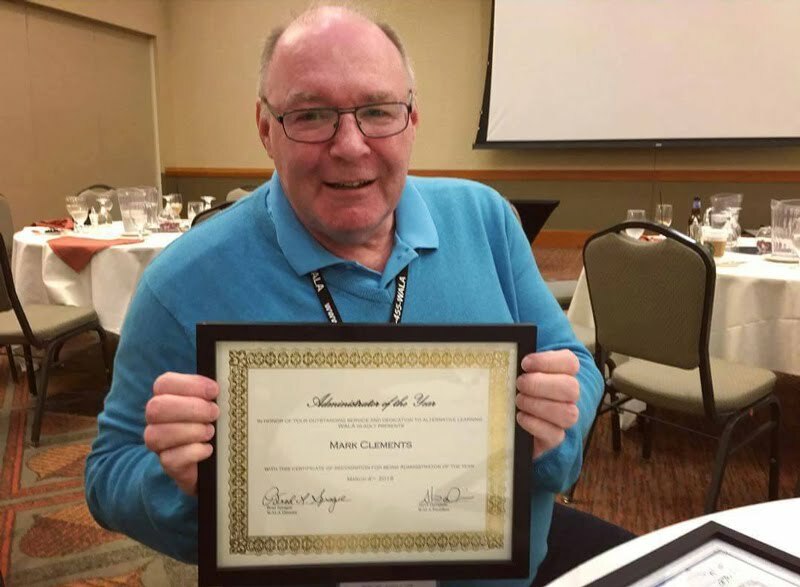 Mark Clements, the principal of River HomeLink in Battle Ground Public Schools, is the Washington Alternative Learning Association's (WALA) administrator of the year. Clements received the award during the organization's conference banquet at Great Wolf Lodge March 3-5. The recognition is based on service to school, community, state, and the WALA organization. "I have such a wonderful team," Clements said remarked when he learned that the staff at River HomeLink had submitted the nomination on his behalf. Clements has worked in Battle Ground Public Schools since 1998. Before that he was an administrator in several other Washington and Oregon schools. His vision is always guided by what is best for students. River HomeLink is a parent-partnered, alternative learning program for homeschooled families in the Battle Ground Public Schools district. 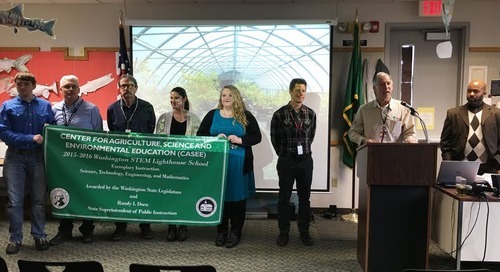 The Washington Alternative Learning Association supports the interests and needs of more than 200 alternative schools around the state. 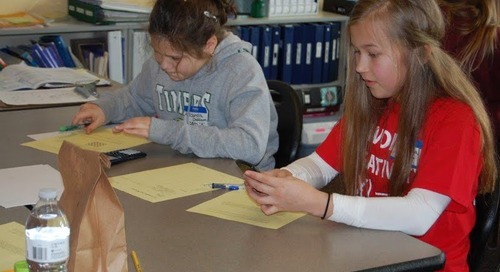 Besides River HomeLink, Battle Ground's alternative learning programs include CAM Academy and Summit View High School.